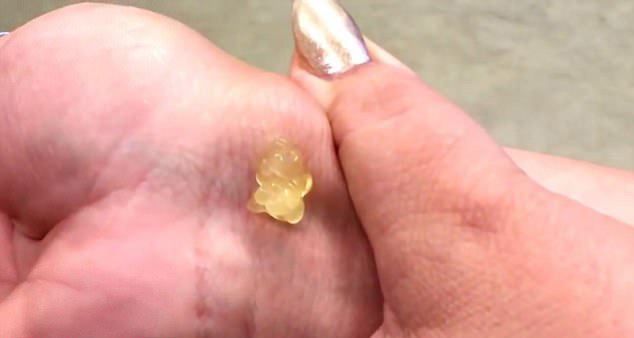 Here’s another vile video of a woman popping a giant yellow cyst on her wrist and it’s just traumatic. There have been plenty of these sorts of videos doing the rounds, all with varying degrees of grossness, but this one is particularly grim. For some unknown reason, the woman behind the cyst chose a screw driver as her implement of choice, to dig into her mammoth wrist-cyst. Obviously it was never going to be glitter and sparkles that erupted out of her gargantuan boil, but the yellow pus that instead oozed out and dribbled down her wrist was just all kinds of vomit. Yuck. I’m actually not sure how she managed to push that 16 gauge screwdriver so far into her cyst without reeling in horror, but she persisted and after managing to reach in a few centimetres, she pulled out to admire her handywork. Now it gets really revolting, as at this point, she decides to drain the cyst and proceeds to press on it with her thumb, until a weird, translucent yellow pus oozes out. And for those who are particularly interested, this cyst is of the ganglion variety, which is a ball of fluid that ‘collects’ if you will, primarily on the back of hands and wrists. Nice.